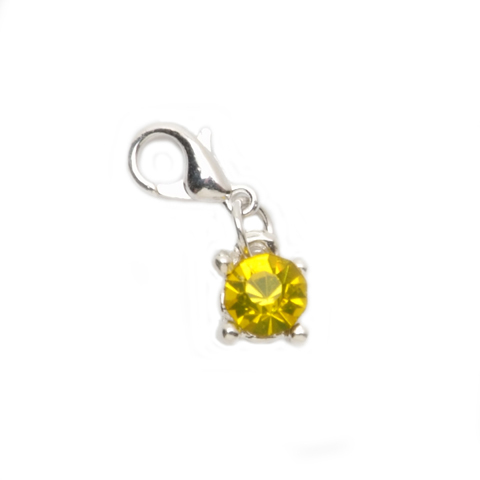 This faux Peridot charm, is perfect for anyone born in the month of August, like myself. Peridot symbolizes power and influence. The lobster style clasp, faux Peridot is silver colored metal and measures .25 inches wide and .375 inches in length.